British Council - IELTS Scholarship Scheme, 2019-20 is offered for Bachelors, Masters degree in the field of Various subjects . You can apply to this scholarship here. The deadline for the sending your application is 31 Jul 2019. This scholarship is provided by British Council and the value of this scholarship is Partial Funding, up to £ 2,000 . This scholarship is open for: Open to citizens and residents of Sri Lanka. The candidates applying for IELTS Scholarship Scheme 2019 should be residents and citizens of Sri Lanka. The scholarship is open to all applicants who have taken test between 19th May 2019 and 26th May 2019 (iBT) or 18th May 2019 (paper-based) with the British Council. The candidates must have an IELTS overall band score of 6 or above. The applicants should be 18 years of age or above. The candidates are required to be applying for undergraduate and postgraduate studies abroad. The applicants for IELTS Scholarship Scheme 2019 must have an offer letter from a recognized higher education institute which accepts IELTS as part of its admission criteria in the UK, US, Australia, Canada, or New Zealand. Bachelor's student - GBP 1,000. Master's student - GBP 2,000. The last date to apply for the British Council - IELTS Scholarship Scheme, 2019-20 is 31st July 2019. # +380981738653 Is The Pmp Certificate Valid Without Test #yes# How? # +380981738653 How Can You Purchase Registered Ielts Certificate? The British Council is a British organisation specialising in international educational and cultural opportunities. It is registered as a charity both in England and Wales and Scotland. Founded in 1934 as the British Committee for Relations with Other Countries, and granted a royal charter by King George VI in 1940, the British Council was inspired by Sir Reginald ("Rex") Leeper's recognition of the importance of "cultural propaganda" in promoting British interests. Its "sponsoring department" within the United Kingdom Government is the Foreign and Commonwealth Office, although it has day-to-day operational independence. Sir CiarÃ¡n Devane is its chief executive; he was appointed in July 2014 from Macmillan Cancer and replaced Sir Martin Davidson in January 2015. Do you know about British Council? Yes, you can secure an education loan to study abroad at British Council. Education loans are of two types- Collateral and non collateral. Collateral includes either: Immovable property – a house or a flat or land (or) liquid security – an FD, or LIC or shares or bonds. Agricultural lands are not accepted by any bank for education loan. When is the deadline of British Council - IELTS Scholarship Scheme, 2019-20? For which degree is British Council - IELTS Scholarship Scheme, 2019-20 offered for? For which field is British Council - IELTS Scholarship Scheme, 2019-20 offered for? 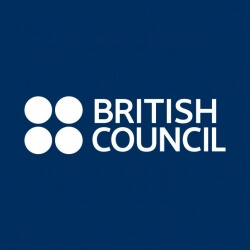 Who can apply for British Council - IELTS Scholarship Scheme, 2019-20? Who is offering British Council - IELTS Scholarship Scheme, 2019-20? What is the funding covered in British Council - IELTS Scholarship Scheme, 2019-20? Where can British Council - IELTS Scholarship Scheme, 2019-20 can be taken at? What are the other best scholarships at British Council? What are the other Bachelors scholarships in British Council?